ENO Baylis is ENO’s learning and participation programme. The ENO Baylis programme continues the inspiring work of Lilian Baylis, the pioneering theatre manager whose vision of making opera accessible to all led to the founding of ENO. 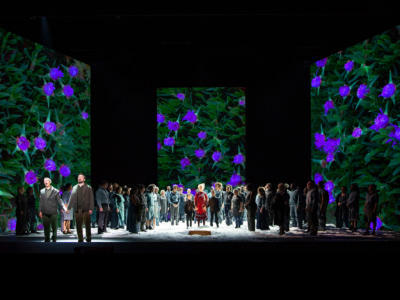 An integral part of the Artistic department, ENO Baylis responds to the stage programme with imaginative projects, workshops and live events that explore the component parts of opera and reveal the ideas behind productions, introducing the art form to new audiences and enriching the experience of opera for all. We use our productions as a creative springboard for all our work. 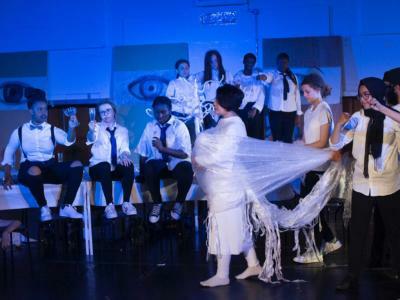 Our programme with young people focuses on the 11-25 age group, encouraging creative expression and developing skills across the various art forms that combine to make opera. For adults we create opportunities to take part in regular community singing and large scale community performances. We also run a series of public talks about our productions. We nurture talent through our professional development programmes and support pathways for individuals into the industry – both on stage and behind the scenes. ENO's Baylis programme offers a range of opportunities for people of all ages to engage with opera. We believe that opera of the highest quality should be accessible to everyone. Read our full mission.